Not far from BALTER is the BERLEIGH BREWERY where we went to next. This another nice spot, a large inside area and a nice big outside setting which was well populated when we where there. 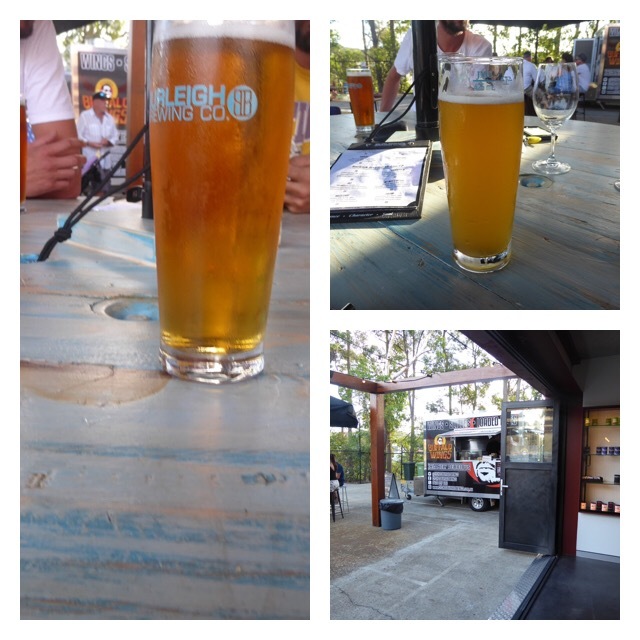 There was a buffalo wing food truck called CYCHO I think and live music inside, few more beers on tap here, I did find out a bit more about this brewery than the last one but I did have to work a bit to do it.The beers we had where the Helles, 3.5%.very easy , The Hasselhoff 5.5%, Fig Jam 7%, Hef wheat,5% I think possibly my choice here, Dailey Dog 4.2% a blackberry infused Lager, I didn’t get a lot of berries in this beer which while not.overly big on character, I think it had its place,like rose,s fizzy red wines and fruit cups you probably get a few of these down while sitting iN the shade on a summers evening. I also had My Wife’s Bitter which I have tried before in bottles , like a lot of beers I think the keg version is the preferred option, the hops being somewhat more restrained.Well worth a visit here.